10 cutting-edge UK games studios have been selected for Games London's third outbound mission to Slush in Helsinki. Starting today, Monday 3 December, the developers will be in Finland to meet investors, funders and potential partners at the annual event focused on startups and tech innovation. Thanks to support from the UK Department for International Trade, Games London's yearly mission has been widened to cover the entire country and will this year include an official Slush side-event connecting delegates with over 10 investors - before the curtain has officially raised on the Slush main stage. 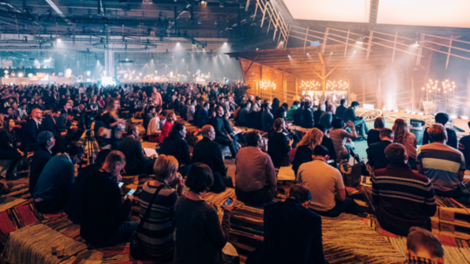 Now in its eleventh year, Slush facilitates founder and investor meetings and aims to build a world-wide startup community. Games London's delegation will be in Helsinki until Thursday 6 December to attend the show and its various side events and networking opportunities, meeting global contacts as part of Games London's mission to make London the games capital of the world. This is the third time Games London has taken a mission of games studios to the event - each of the prior two delegations has seen at least one of the selected companies return to the UK with a £multimillion investment or partnership. If you want to meet the delegation contact Games London's Matthew Charlton (Matthew.Charlton@games.london) to arrange a meeting. Alternatively, the companies are registered in the Slush matchmaking system where event delegates can contact them direct for meetings. Games London is an initiative from Film London, the capital's screen industries agency, and video games trade body Ukie (The Association for UK Interactive Entertainment). Games London is backed by the Mayor of London with funding of £1.2m over three years and seeks to make London the games capital of the world. Its programme includes the London Games Festival, attended by 65,000 people in 2018, inbound and outbound missions and skills projects.